Real estate brokerages in the UAE are welcoming the government’s order to remove listings from property portals that do not come with a Trakheesi number. This number verifies a property’s availability on the market. This will help eliminate fake listings, improve market transparency and inspire confidence among buyers, sellers and brokers. Currently, while the Trakheesi system is in place, some real estate brokers have still been able to list properties that don’t carry the Trakheesi number on property portals. This will now change as portals have been instructed that all such listings must be removed. This will ensure that only genuinely available properties are advertised. “From the beginning of February, property hunters can no longer expect to call up about a property only to be told ‘this property is no longer available; however, I do have something similar’ or even turn up on a viewing to find that the property originally enquired about is not the property they are being shown around. This is welcome news for property hunters as it clears listings which may have been strategically put on portals to grab their attention. Properties which are no longer on the market and do not have motivated sellers will be removed from portals,” said Lewis Allsopp, CEO of Allsopp & Allsopp. “We need to weed out fake listings in this market. Many dishonest agents list properties they don’t have. This is to attract a call and then say we just sold/leased this unit – would you like another one. This is terrible for client experience and we are glad that the regulatory authority is finally taking a serious step to rectify this,” observed Sanjay Chimnani, managing director, Raine & Horne. Taking away fake or duplicate listings will provide an accurate picture of the actual property stock in Dubai. The implementation of mandatory Trakheesi numbers will help clean up the property market and build buyer confidence. Buyers and tenants will be able to work with real estate agencies that implement the correct practices and operate to legal standards. “It’s a great government initiative to eliminate misrepresentations, speeding up and simplifying the process for home owners and agents. It regulates the market by pushing out agents who list properties illegally. It will ultimately reward agents who operate professionally. The industry has shifted to using automated digital methods and it’s great to see the government reacting and adjusting to this accordingly. Anything which adds transparency and credibility to the real estate market is beneficial,” explained Danny Abraham, senior client manager, Espace Real Estate. Currently, a property gets listed several times on portals. Before the implementation of Trakheesi, several unethical brokers were posting properties online that were either already sold, not available at all or at incorrect prices. The Trakheesi system now holds such brokers accountable. “Having incorrect/fake listings on portals gives buyers a false sense of availability and a false sense of a true ‘market price’. These incorrect listings do not do any favours for agents who actually work hard for professional agencies with professional Rera qualifications in place because a large number of buyers will simply call the agent advertising the cheapest property rather than a real property which is accurate, available and priced correctly,” said Myles Bush, CEO, PH Real Estate. It is a huge disadvantage to the seller as well as it can make them look desperate to sell their property. These factors combine to potentially affecting what the seller can hope to achieve as a selling price. It can be an issue if they want to keep their privacy since sellers lose track of where their properties are advertised and by who. To get a Trakheesi number, an owner must sign a Form A, allowing an agent to advertise their property online. Ideally, rules should restrict a property from being listed by no more than three agents. “For the clients, a good agency having exclusive rights is his best way forward as the agent and agency have complete motivation to achieve the best result for the client. When we get into multiple listings, the same motivation does not exist. For the buyer, restricted and accurate listings are good as he would know they are genuine and available,” Chimnani pointed out. Joseba Umbelina, head of digital marketing at Luxhabitat, said it shouldn’t be possible to market a property without an owner’s explicit consent. “But for this to work well, the implementation should be entirely digital, making mandatory signing and submitting all the documents online. Otherwise, manual verification is needed which is not feasible and difficult. Once everything is validated in Trakheesi, then it would be wise to offer property portals a way to verify the number through an API,” suggested Umbelina. 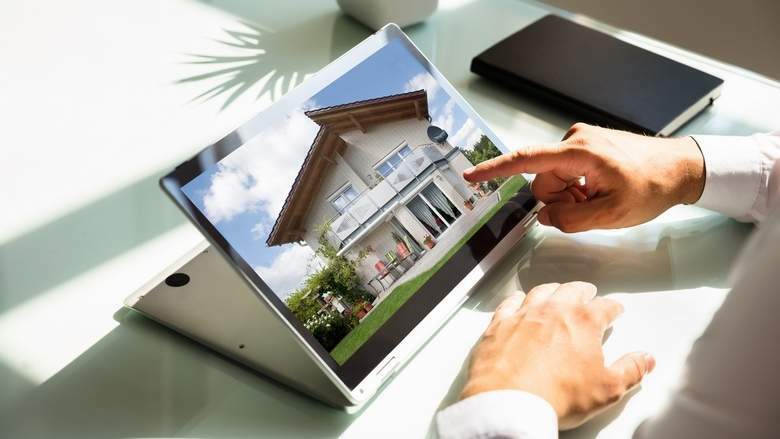 On how more than three duplicate listings are commonplace on portals, Umbelina said that for popular listings, more than three brokers can be seen marketing them. “Surpassing the three brokers per listing limit is currently allowed by property portals, who are unable to take action against them, as the brokers are the ones who pay for listing their properties on the portals,” Umbelina pointed out. Fake listings can be frustrating for buyers since they need to spend more time on their search, by skipping duplicates and facing issues like price or information discrepancies. “It can be frustrating for honest agents as well, especially those who build a trustworthy relationship with the seller and spend time developing a marketing strategy with them, only to see other agents market the property in a different way,” warned Umbelina. “If I wanted to sell my property now, I would list my property with three well-respected agencies with large advertising budgets, with a long tenure in the market [10 years or over] and with professional systems in place,” recommended Bush.